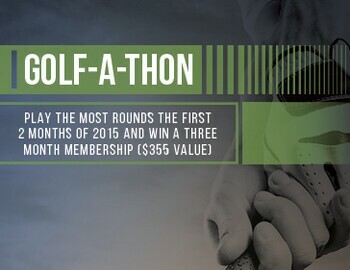 From January 1, 2015 through February 28,2015, the golfer that plays the most rounds could win a 3-month membership. The top Player Development Program golfer wins a 3 -month membership. The top Public golfer or Pasport holder wins a 3-month membership. The top Member will win 1,500 member incentive points. Click here to find out more about our membership program. Must play at least ten (10) rounds during promotion to qualify. A round consists of a minimum of 9 holes. Membership will be valid from March 5, 2015 through June 5, 2015. Check out the leaders in each division below through February 22, 2015. We have just under a week left to get your rounds in for your chance at a 3 month membership. Remember, you have to play at least ten (10) rounds to qualify.